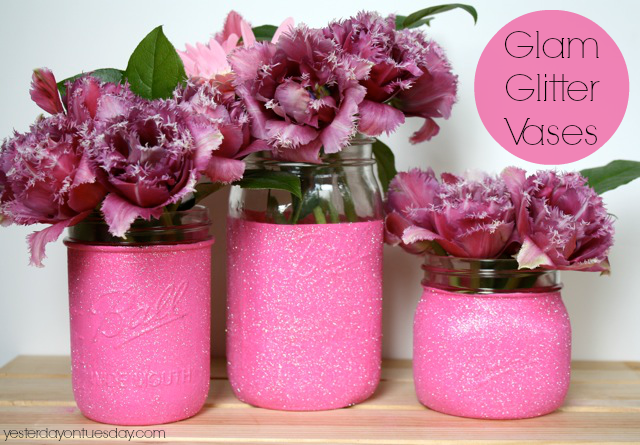 Give your special occasion some BLING and ZING with these sparkly Glam Glitter Vases! You can whip these beauties up in no time. 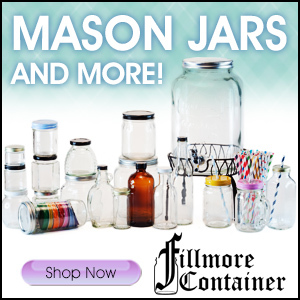 They are perfect for weddings (centerpieces or place settings), Mother’s Day… any kind of soiree, event or gift giving occasion. 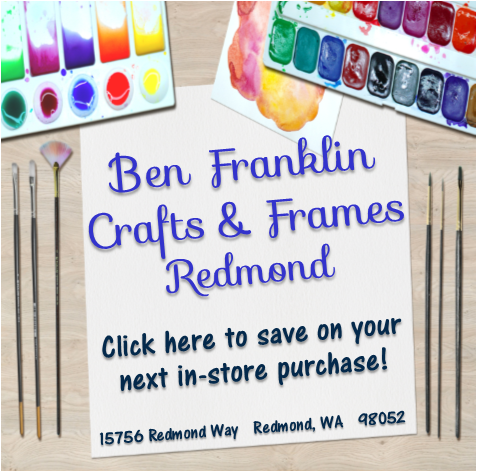 (All crafts supplies available at Ben Franklin Crafts and Frames in Redmond). 1. 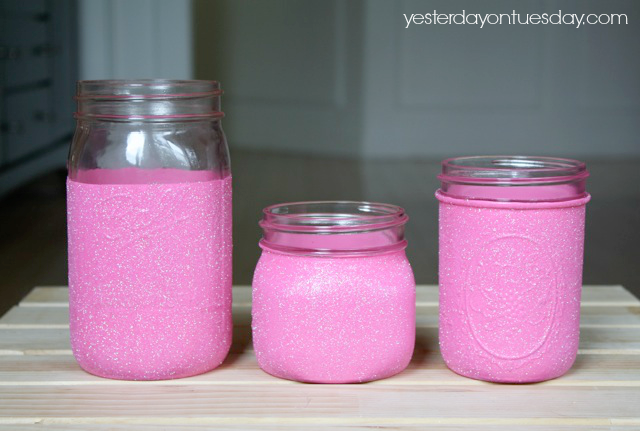 Use masking tape to tape off top. 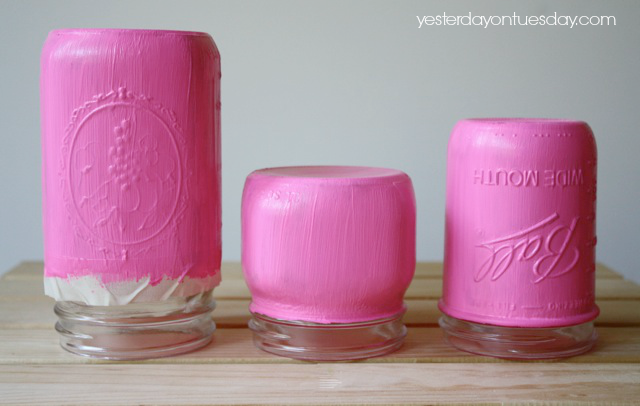 Paint jars letting them dry between coats. 4. 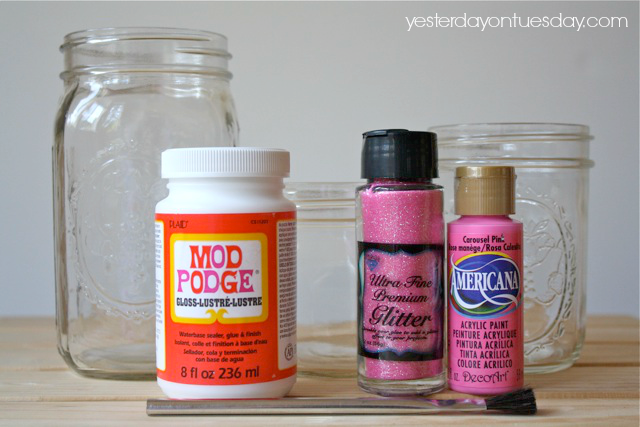 Working over newspaper or a large plastic garbage bag, sprinkle glitter on the Mod Podge areas and let dry. 5. Let it dry and add some flowers. 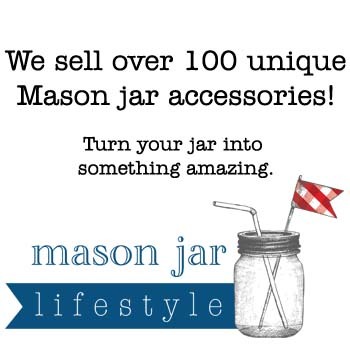 If you like Mason Jar Crafts, be sure and check out my Mason Jar Crafts Gallery. 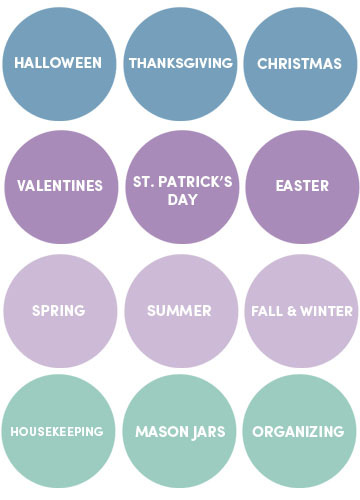 Here are some of the projects you’ll find there. Thanks Crystal! Are you guys excited for summer? 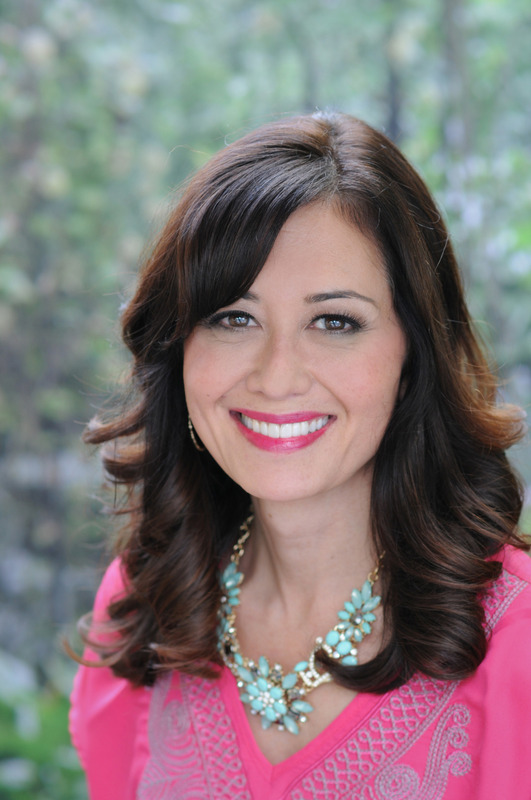 So beautiful and so easy! Love it! These are so pretty, Malia! Thanks dear friend! Happy Friday! 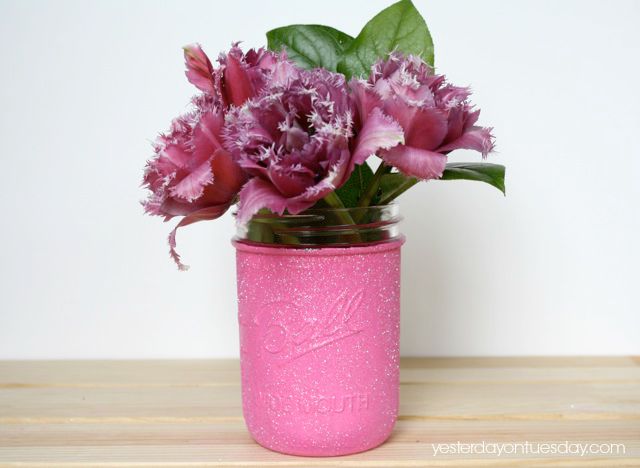 These vases are GORGEOUS Malia! 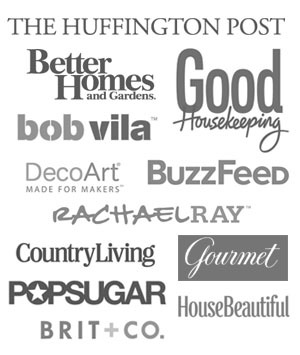 And I love your new blog design too! You’re awesome! 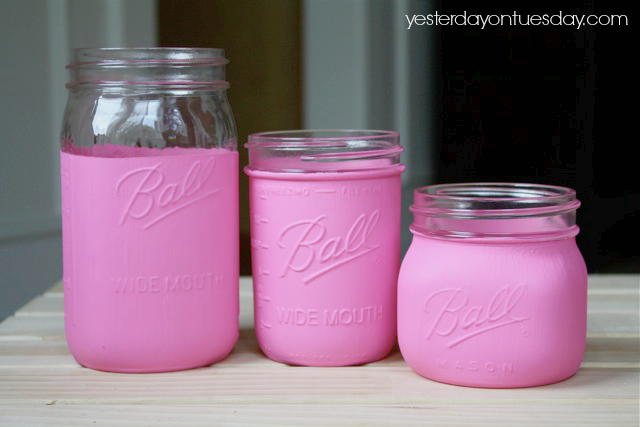 Super cute, love the pink!! 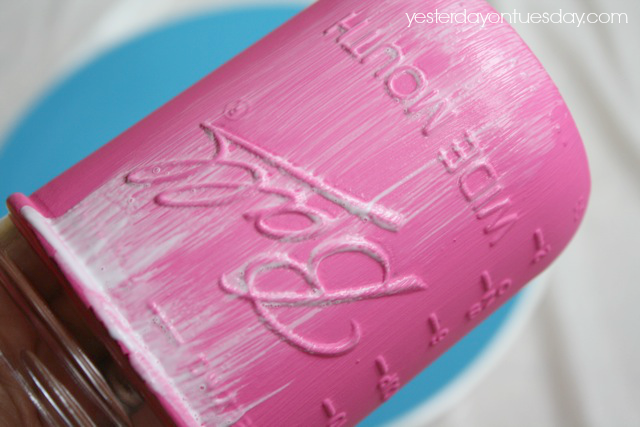 Loving the pink! 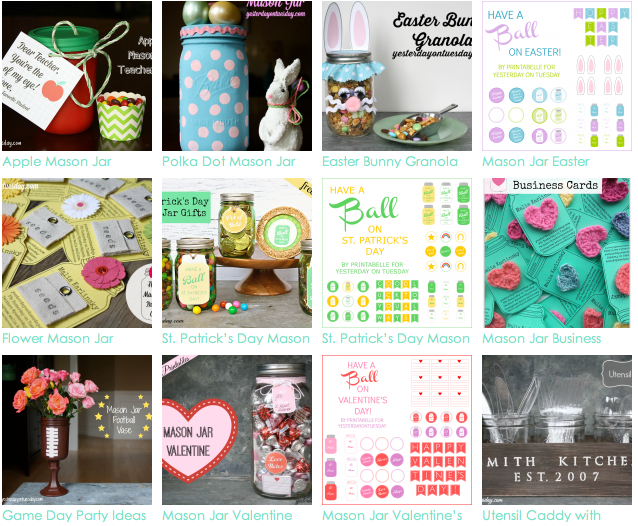 Pinned and featured at Inspiration Monday :) Thanks for sharing!